Unix Shell programming can be hell sometimes. 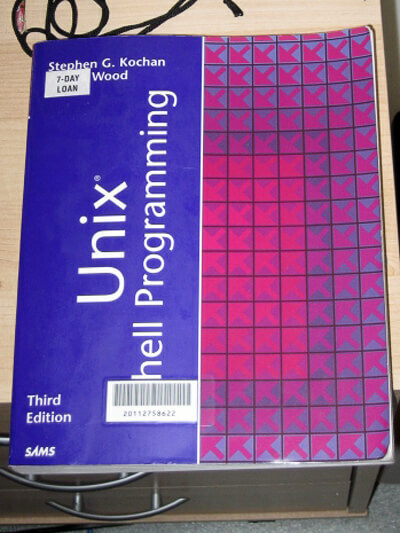 “Unix Shell Programming” book by Stephen G. Kochan and Patrick Wood. The library knew where to attach the sticker!